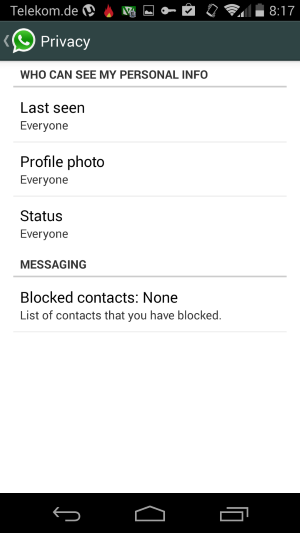 Recently WhatsApp released a new update for Android which brings the much awaited privacy settings that enables you to customize WhatsApp the way you want it. This new update brings new Privacy options under Account section in Settings. 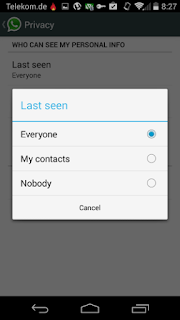 You can now hide your “Last Seen”, “Profile Photo” and “Status” from anyone. 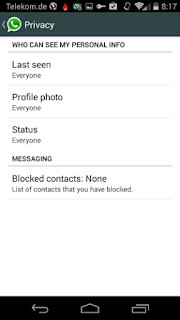 >> Using the new privacy feature, you can allow everyone to see your personal info (last seen, profile pic and status) or only your contacts or nobody. 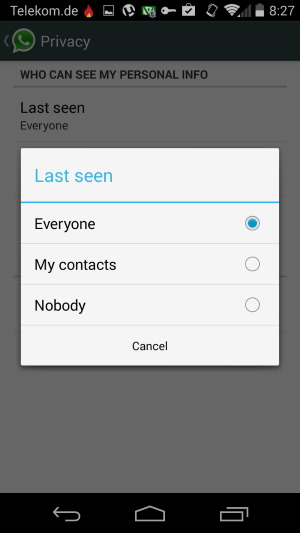 >> No more any duke and harry stalking your last appearance on WhatsApp or whatsoever. This new WhatsApp If you are yet to update your Whatsapp, you can simply do that through your Google Play Store or you can download the new updated WhatsApp APK file from the official WhatsApp website.